The chained bracelet on this watch is good enough to turn any woman into its fan. The brown colour navette shaped dial has a special design pattern on its base which is nicely placed in the two toned blown dial. The design flows well where the brown colour has both the lighter and darker shape which keeps the design visible. 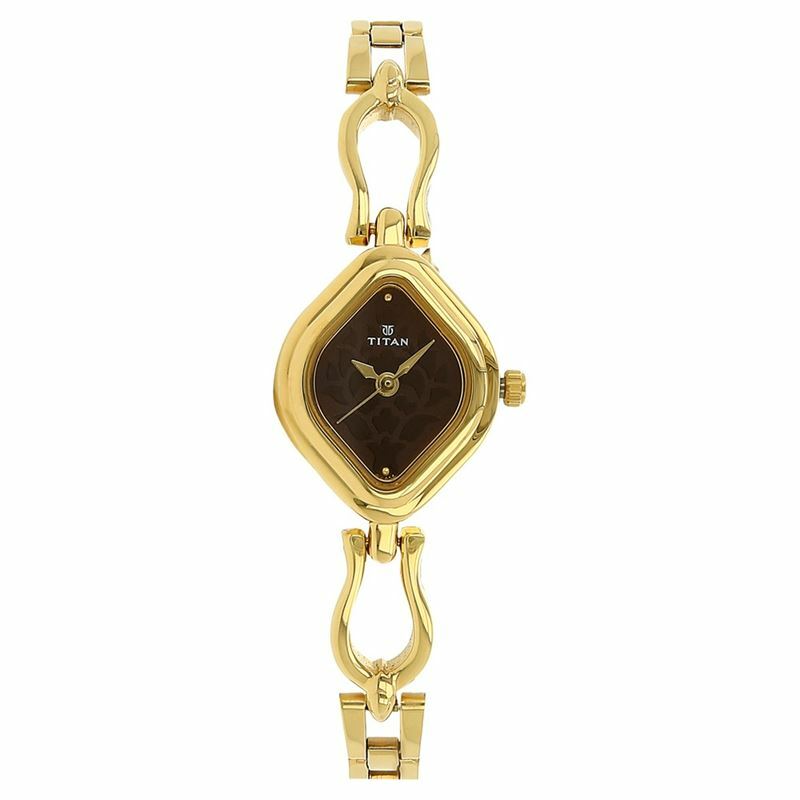 The watch has a solid linked metal strap in golden colour matching the diamond shaped metal case. The watch comes with a 3 ATM water resistance.